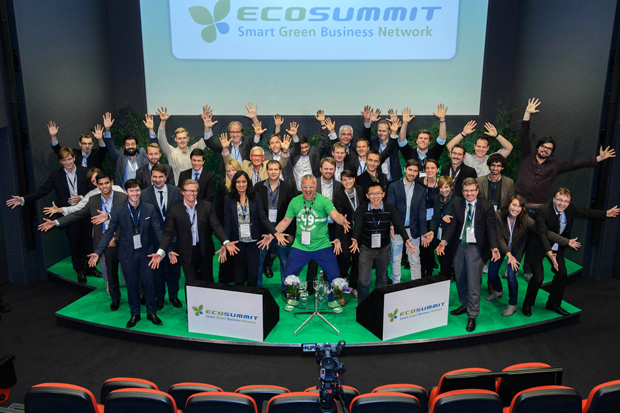 Ecosummit is Europe’s leading smart green innovation conference for startups, VCs and corporates. Our 8th conference ECO14 London was celebrated on 7-8 October 2014 at the Crystal and was supported by 15 sponsors that are profiled below. We are very grateful for their support and cooperation. Siemens AG (Berlin and Munich) is a global powerhouse in electronics and electrical engineering, operating in the fields of industry, energy and healthcare as well as providing infrastructure solutions, primarily for cities and metropolitan areas. For over 165 years, Siemens has stood for technological excellence, innovation, quality, reliability and internationality. The company is the world’s largest provider of environmental technologies. Around 40 percent of its total revenue stems from green products and solutions. In fiscal 2012, which ended on September 30, 2012, revenue from continuing operations totaled €78.5 billion and income from continuing operations €4.7 billion (incl. IAS 19R and reclassification of the solar business into continuing operations). At the end of September 2012, Siemens had around 370.000 employees worldwide on the basis of continuing operations. THE DREAM OF FLYING IS MET. TIME FOR A NEW DREAM. The opening of BER Airport in the south-east of Berlin will mark the beginning of a new era for the city‘s former Airport Tegel. Tegel Airport will soon be closed. The fascination remains: a research and industrial park arises – for the city of the future. Founders, students, investors, industrialists and scientists jointly develop the cities of tomorrow. In Berlin TXL urban technologies are designed, produced and exported. And they will be used not only here, but in all cities around the globe. The long-term planning is completed: the master plan is officially adopted and the corresponding development plans are already in the process. At the heart of Berlin, the Urban Tech Republic is formed. No city in the world is better suited than the creative metropolis. And within this city there is no better site for this than: Berlin TXL. Berlin TXL supports ECO14 London and ECO15 Berlin. The unique Autodesk Clean Tech Partner Program supports the efforts, innovations, and environmental advancements of clean technology pioneers, by providing world-class software to design, visualize, and simulate their groundbreaking ideas through the creation of digital models and prototypes. The program offers participants software licenses valued at up to €120.000 for just €50. With digital prototypes, clean tech innovators can explore and communicate ideas, test multiple concepts, and accelerate improvements, while supporting the reduction of potentially costly errors. Used by millions of engineers, architects, and design professionals worldwide, Autodesk software helps empower Clean Tech Partners to create a better, more sustainable world. For more information visit www.autodesk.co.uk/cleantech or www.autodesk.de/cleantech. Autodesk supports ECO14 London, ECO15 Berlin and ECO15 London. Smart Green VC: Aster Capital is a multi-corporate venture firm with Schneider Electric, Alstom, Solvay as well as the European Investment Fund EIF as main LPs in our second EUR 107 million fund ASTER II which we launched in 2010. We have a 10-year track record as early-to-growth-stage investors in technologies and services that find application mainly in the energy industry but also in industrial applications, buildings and mobility. We will invest between EUR 0.5 to 8 million per portfolio company and normally co-invest with other VC firms or take the lead. Our special value proposition is our access to our corporate sponsors. Post investment, we dedicate much time to create business opportunities for our portfolio companies through our personal contact networks not least at Schneider Electric, Alstom and Solvay where most of us have held senior positions prior to joining Aster Capital. Aster Capital supports ECO14 London and ECO15 Berlin. Smart Green VC: Cleantech Invest is a Finland-based investment and development firm founded in 2005. Cleantech Invest (CTI) currently has 13 firms in its investment portfolio. CTI invests in early stage cleantech ventures in the Nordic area, with investment focus being smart energy and clean environment. Since 2014 CTI shares are traded at Nasdaq OMX First North Helsinki. Smart Green VC: Ecomobilité Ventures, Europe’s first private equity fund dedicated to innovation in sustainable mobility, was created by French national railway operator SNCF, mobile telephone operator Orange and energy company Total. Ecomobilité Ventures recently invested a total of €5 million to acquire equity interests in three European ecomobility startups: Move About, EZ‐Wheel and Ouicar. The key to ensuring the success of sustainable mobility lies in stepped up innovation and more extensive cooperation between startups and large corporations. Ecomobilité Ventures intends to provide long‐term support for this fast growing industry. Backed by €25 million in capital, the corporate partnership is focusing its investments on four priority areas: transportation services, innovative information technology, connected vehicles and mobility products, and intelligent infrastructure. The three fledgling companies selected contribute to fostering the emergence of new modes of transportation and mobility solutions, each in its own sector. Smart Green VC: Chrysalix SET is the Amsterdam-based venture capitalist firm managing SET Fund I and SET Fund II with investments in early and growth stage European technology companies with high growth potential that also have an impact on the future of energy in this world. We care about sustainability issues and want to contribute in a meaningful way, while maximizing returns for our investors by creating valuable companies. Typically these companies are active in the markets for sustainable energy generation, smart grid, transmission, storage and energy efficiency. The experienced Chrysalix SET investment team and partners have shown that their value chain investment philosophy and company building capabilities provide more than just financing. We have a long standing venture capital track record in various industries, since 2007 exclusively focused on sustainable energy technologies. The whole team comes from the industry and is geared towards the interests of its limited partners and the portfolio companies it has invested in. Chrysalix SET is a founding member of The Chrysalix Global Network (GCN), a premier alliance of independent, top-tier venture capital firms including Vancouver-based Chrysalix EVC and Beijing-based GRC Chrysalix. Chrysalix SET’s current portfolio includes AlertMe, MicroShade, NGentec, LuXeXcel, EnOcean and Sefaira. Smart Green VC: EcoMachines Incubator is a London-based seed fund and accelerator that invests in hardware startups working on problems in power generation, energy efficiency, water, waste, transport, smart cities, materials and industrial high-tech. Our highly customised Accelerator Programme supports technology entrepreneurs in building their startup from a proof-of-concept technology into a revenue-generating business ready for further funding and investment. The programme includes seed investment, intensive mentoring and a range of hands-on support and services. EcoMachines Incubator has an international base of industry specialists and thought leaders in advanced engineering and high value manufacturing to deliver workshops for our portfolio companies. To date, the incubator has backed a number of startups including Q-Bot, Nanotech Industrial Solutions, Rotary EcoMachines and Recycling Technologies. The Swedish Energy Agency works for a smarter energy use, which involves among other things to channel practically all Swedish state funds that go into energy research. The Business Development and Commercialisation department is focused on making business from this research by bringing together researchers and business developers, contractors, customers and capital. This department also provides their own funding to cases with technical uniqueness, high energy relevance as well as a strong team behind the concept. Swedish Energy Agency supports ECO14 London and ECO15 Berlin. Smart Green Startup: Sonnenbatterie is a German pioneer in the rapidly growing storage market. As a medium-sized enterprise it develops and produces intelligent lithium storage systems committed to highest quality “made in Germany” and highest safety standards, e.g. has been certified by TÜV since 2011. The battery systems are exclusively manufactured at the company’s headquarters in Allgäu/Southern Bavaria, where it is also subjected to thorough quality control. Since the beginning in 2008, Sonnenbatterie consistently invests in research and development. The Sonnenbatterie offers solutions which are much more than only storage and includes many additional benefits like active energy management, smart metering and virtual power plant integration. Different system sizes are offered, optimally customized to the requirements of residential homes, agricultural farms and commercial firms. Sonnenbatterie was introduced to the German and Austrian markets in January 2011 as one of the first proven and transportable intelligent lithium storage systems. Sonnenbatterie experiences strong growth, has over 65 qualified employees and is backed by eCapital. Smart Green Startup: Sefaira exists to help architects and other designers involved at the early stages of design make performance-based design decisions. At Sefaira, our overriding passion is to create software that helps our users design great, sustainable & high-performing buildings. Our software does this by analyzing building designs, and providing building physics-based output to our users in a manner that is immersive, seamless, and meaningful. From Sefaira’s offices in London and New York we have supported projects across the US, Europe through the Middle East and in Asia. Sefaira was founded in 2009 and our team all share a passion for green buildings, and for the way in which technology can help transform the green building space. 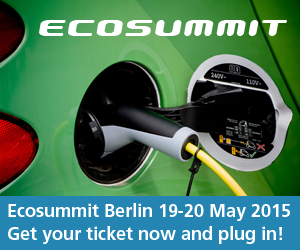 Sefaira has won a number of awards, including the Ecosummit Award 2013 Jury Gold medal in Berlin. Life Size Media is a communications consultancy working exlusively in cleantech and sustainable innovation. We provide fully integrated campaigns that combine public relations with design, marketing, digital and film to achieve our client’s commercial objectives. We believe that a good story can change the world, and we only tell those stories for companies that we genuinely want to see succeed. Our mission is to help breakthrough technologies realise their potential to help build a better future. Xing Events is the only provider who combines event management software and business network. With the help of Xing Events, organizers have sold and accounted for 7 million tickets worldwide for more than 180.000 professional events. The event management software for online event registration & ticketing allows participants a swift and secure purchase of tickets and guarantees for a smooth entry to the event. Years of event experience as well as a specialized international support team for organizers and participants make Xing Events a reliable partner for business events. As part of XING AG, the social network for professional contacts, Xing Events connects more than 14 million potential participants with suitable events.